Finals was cancelled because of inclement weather, so all awards were presented based on prelims scores. The 2018 Bedford, Texas, Regional will be held Oct. 6 at Pennington Field. In 2017, Hebron narrowly defeated Flower Mound, tying in effect but winning music and visual in finals. Flower Mound swept captions in prelims. Bands of America regionals in the Dallas-Fort Worth metroplex have been dominated by Lewisville ISD bands for quite a while now. Since 2012, each year’s regional has been won by an LISD band, and since 2014, LISD has held each of the top three placements. That is certain to change this year, as Marcus won't be attending this regional. Hebron and Flower Mound, however, are expected to continue to battle for the champion title this year, and whichever band “loses” will almost undoubtedly earn a silver medal. We give the upper hand to Hebron, who swept captions at last year’s regional, but it’s really a toss up for either group. In third place, we expect to see Keller. While some interesting results out of the HEB Marching Contest last weekend have raised doubts, Keller has been on the ups since their trip to Grand Nats in 2015, earning as high as fifth at last year’s regional. Prosper is another group tangled up in those HEB results. In prelims, Prosper won, beating second-place Keller and third-place Marcus, but in finals Prosper slipped to third with Keller and Marcus each sliding up a spot. In both rounds, the margin from first to third remained under a point, so the variance between rounds isn’t as surprising or significant as some are claiming. Cedar Park is making the drive up from Austin this year, and could be able to seize third, keeping that LISD band medalist trio alive another year — albeit a mix of Leander and Lewisville ISDs. The band is fresh off a sixth place finish at the dramatically competitive Austin Regional and is going on a rather extensive Texas tour of regionals this year competing in Waco next weekend before heading to San Antonio in early November. That's a total of four BOA events this season and most likely four finals appearances. The only former national champion in attendance, LD Bell has consistently finished in the top half of finals at the DFW regional for over 25 years. This year should be no exception, but they’ll face their biggest challenge for that fifth place spot from Prosper. After finishing just outside of finals at San Antonio the last two years, LD Bell will be looking to step back in. A great performance here could set them up to sneak back in. The rivalry between Coppell and Timber Creek will continue at this year’s regional. 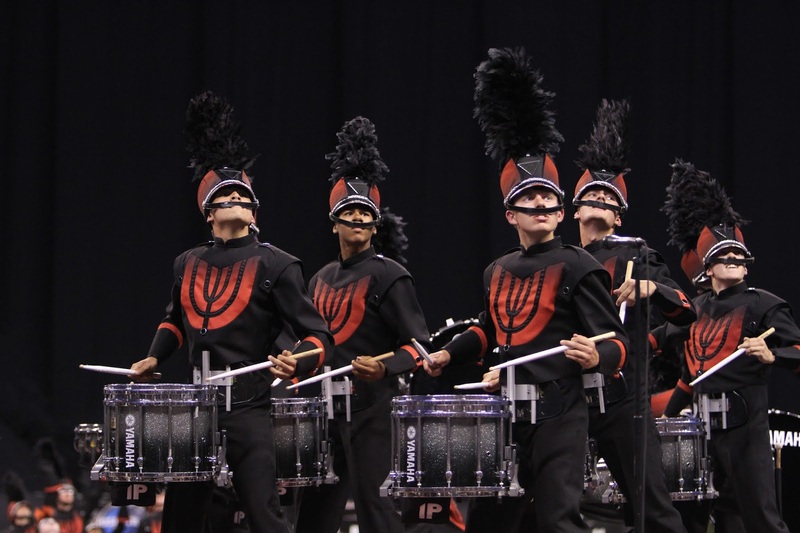 Last year, the two bands tied in prelims, which meant both groups advanced to finals. In their first ever BOA finals appearance, Timber Creek finished tenth, just slightly ahead of Coppell. Earlier this season, the two groups went head-to-head at the Midland Regional, with Timber Creek earning their first regional champion title, beating Coppell in both prelims and finals. Regardless of how they stack up against each other, we expect both groups to be in finals. Union’s season was off to a little bit of a rough start last week at the Owasso Invitational. The band finished third, just over a point behind Bixby and Jenks. It was an early season event, and we all know early season events can produce some unusual results just because of the varying amounts of show each groups has on the field. We’re excited to see how much they’ve grown and improved in just one week’s time. That last spot in finals is wide open for quite a variety of groups. Keller Central, Wakeland, and Waxahachie were able to grab a spot in finals last year, but with the addition of groups like Cedar Park, Prosper, and Union, there are more groups that deserve a finals spot than finals spots available. Music: Ken Snoeck, Dale Warren, Jay Webb, and Kyle Young. Visual: Tony Cimino, Greg Llacer, and Randy Nelson.